The Doctoral Academy is pleased to welcome Sally Blake as Head of Training and Environment. 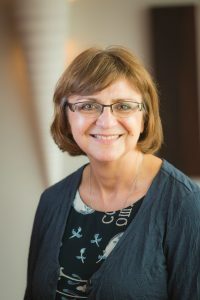 Her role is pivotal in creating an environment that supports PGRs to succeed, both during their time at Cardiff University and in their future careers. Working with colleagues across the University, Sally will drive forward innovative opportunities for PGRs to build interdisciplinary networks, gain hands-on experience, develop transferable skills and improve their wellbeing. She will act as a hub for sharing best practice across the Schools, Colleges and Professional Services – in particular working closely with supervisors and PGRs to understand and overcome barriers to completion and postgraduate employment. I’ve now spent my first two weeks in the Doctoral Academy, having taken a new step in my career journey at Cardiff University. I’m joining the team as Head of Training and Environment and am really excited by the opportunity to develop the personal learning experiences of our research students. My own career journey has been diverse, spanning private and public sectors and periods of substantive, fixed term and freelance work. I graduated with an English degree and no clear sense of direction, but learned early on to go with opportunity, develop skills and then see what came up next. After a few years, I settled in people management and development, gaining postgraduate qualifications and professional membership of the CIPD. Two years ago I finally gained a Masters in Coaching and Mentoring Practice, and I’m keen to use this research and practice experience within the Academy programme. I can also appreciate the challenge of being a mature, part-time distance postgraduate learner! I came to Wales in 2001, working initially in a children’s charity as Training and Development Manager for Wales and South West, having spent almost a decade as a freelance learning and organisational development consultant in London. My initial work within Cardiff University in 2005 was as a Programme Manager in Careers, delivering a programme of employability workshops across campus within Schools, including several for PhD students within the then Graduate Centre programme. As an employer and recruiter during HR roles, I have a clear understanding of what’s needed to navigate role change and have continued to use my experience to keep my own career moving. I’ve joined the Academy having spent ten years in the School of Postgraduate Medical and Dental Education, where as Career Development Manager, I supported around 2,500 trainee doctors across Wales, as well as providing CPD for their consultant supervisors. That has given me plenty of experience in providing distributed learning and developing virtual resources. I undertook two secondments during this time, firstly to the School of Medicine, to introduce a faculty development programme as part of the change to the C21 medical programme curriculum. More recently, I covered the role of Training and Development Manager for Early Career Researchers, involving doctoral training partnership projects for GW4 and management of the Welsh Crucible Programme for aspiring research leaders. When the opportunity at the Doctoral Academy came up, I knew it would draw on my experience across the Cardiff University community, as well as my wider career too. It also fits with my passion for helping people to grow, fulfil their potential and build rewarding careers. As the world of work keeps changing, we all need to become more agile in our career management and I’ve aimed to model this. I’m looking forward to working with our staff, students and services to deliver an exciting programme and a great PGR experience at Cardiff.